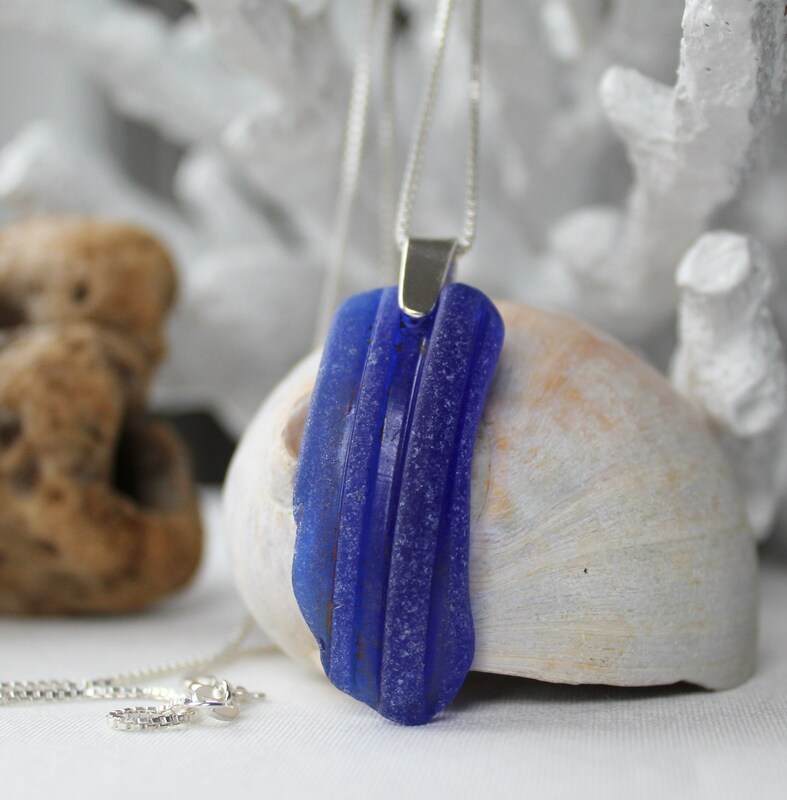 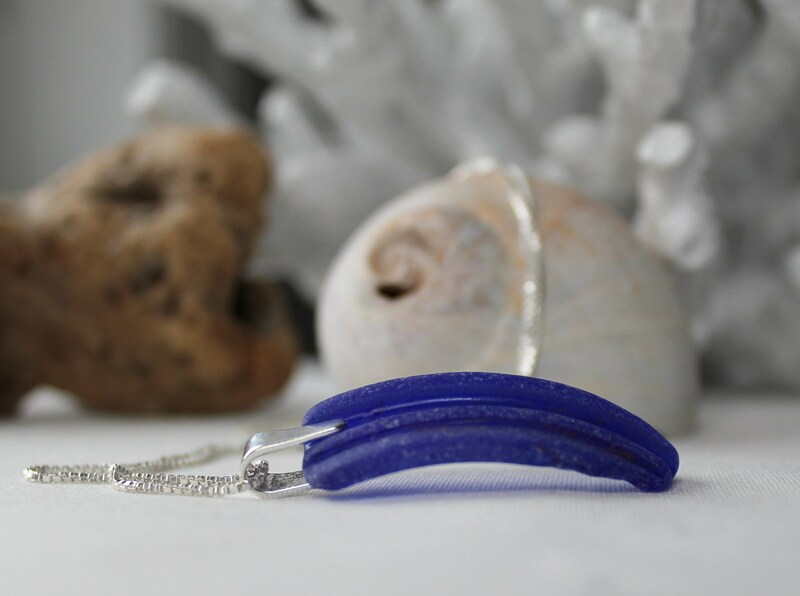 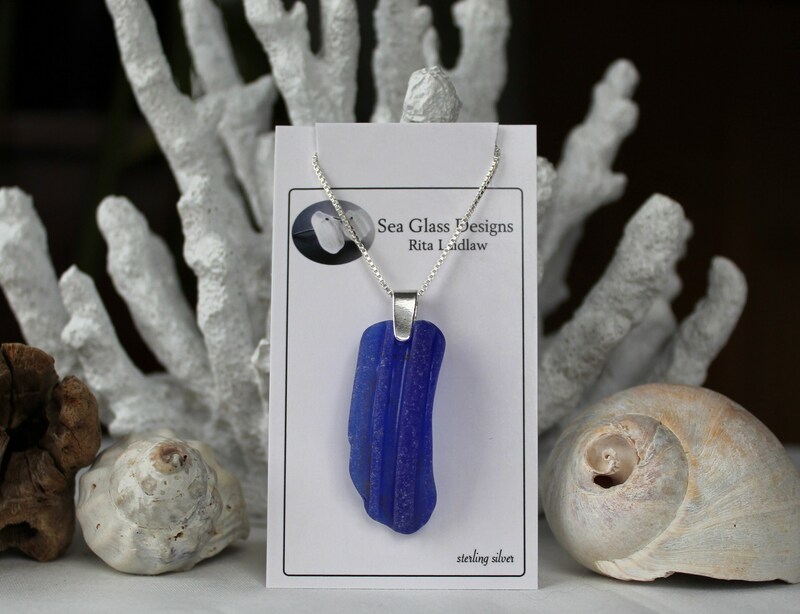 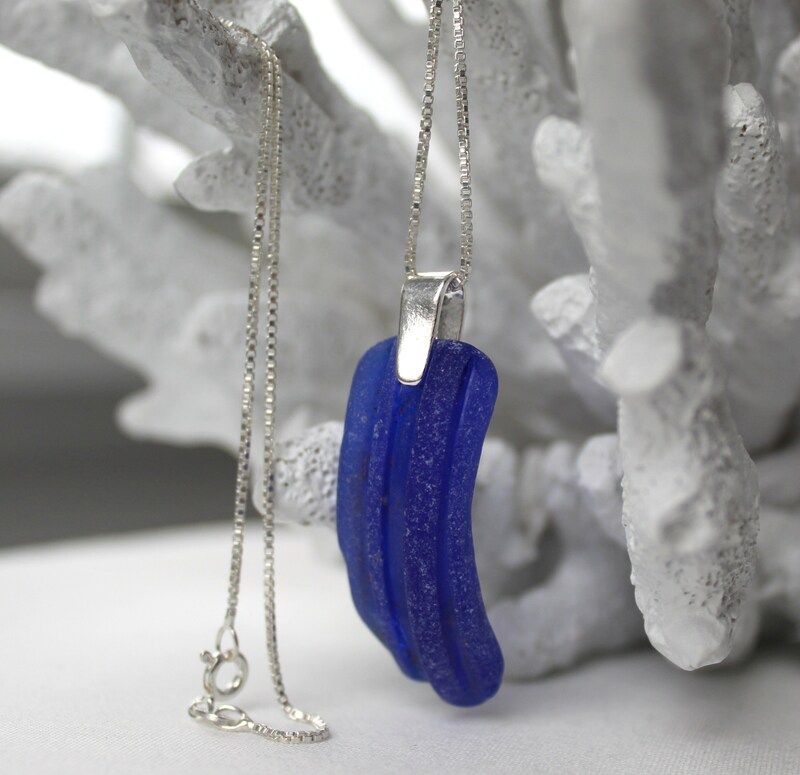 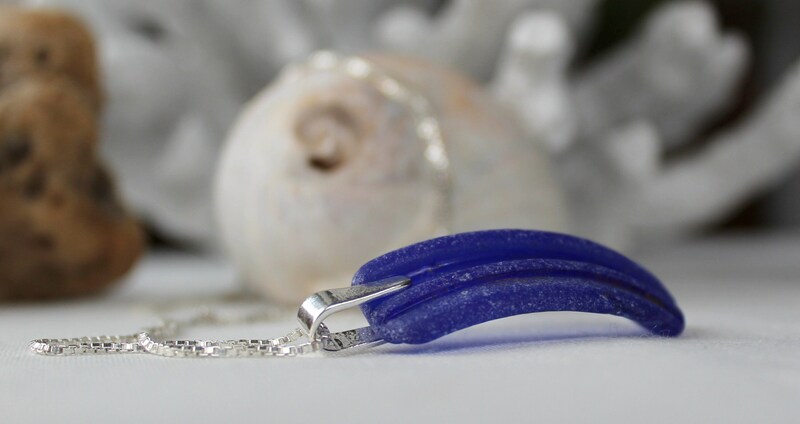 A large and beautiful curve of sea worn beach glass hangs on a sterling silver bail and chain, length of your choosing. The glass was found on a Nova Scotia beach, and most likely started out as the rim of a wide mouthed jar. 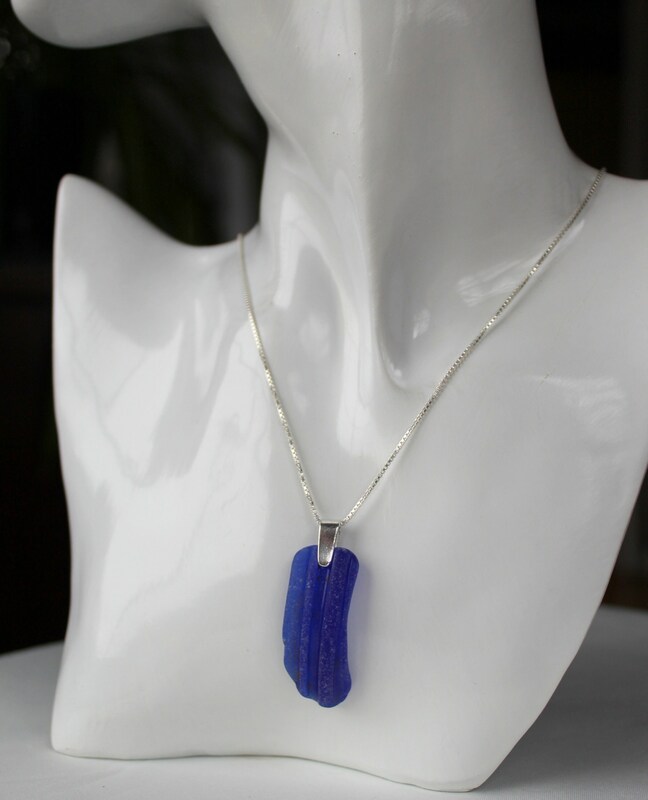 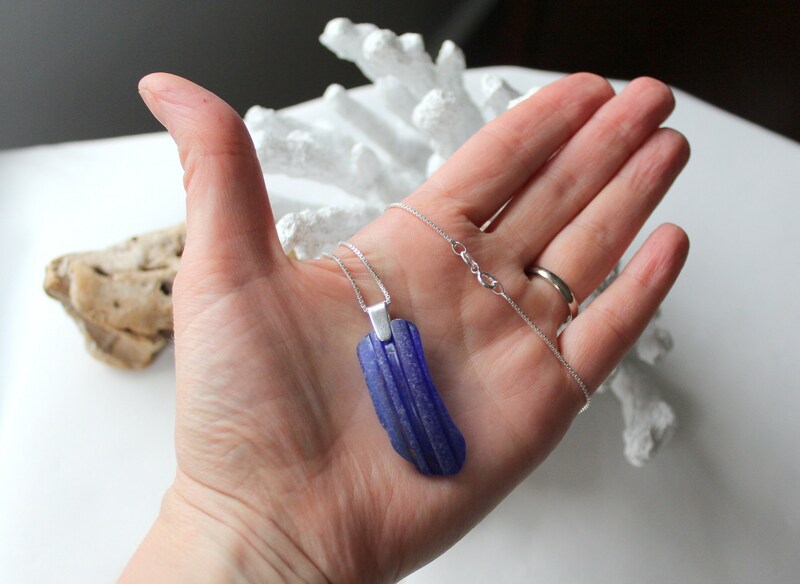 The pendant measures 1 2/3 inches in length.